At Remedy we know that as your business develops over the years it requires different types of funding at various stages of that development. 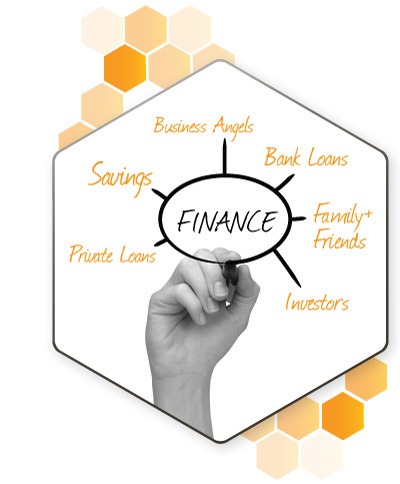 Part of the preparation processes is understanding the best source of finance, whether it be loans, grants, bridging or trade finance or even equity funding. A full business plan is a pre-requisite and a compelling case has to be put forward and with years of producing business plans, Remedy can help you produce a concise and relevant proposition with all the essential facts and sections. That would include a robust challenging of it’s contents and Remedy won’t allow a business plan to be submitted until we consider it has a very good chance of achieving the funding. To achieve equity funding, where you agree to give up a share of your business for an investors cash, you will require an Investment Deck. Remedy knows what an investor wants to see and will help you put an attractive summary together, and ensure it ties in with the business plan and financial forecasts. We aim to get you “investor ready” wherever you are in the fund raising preparation cycle. Most funders will want to see 3 years financial forecasts and would normally expect a linked profit & loss, balance sheet and cashflow. With more than 25 years financial background Remedy can help you prepare the numbers and validate their accuracy to ensure your proposition holds up to the robust questioning you will get from an investor. If you think now is the time to plan some investment for your business, Ian Perry is ready to speak to you in confidence on 01473 310833.